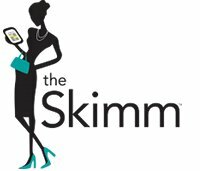 As we grow, were seeking an energetic, multifaceted rockstar to lead revenue strategy at theSkimm. This is a new role that will be in charge of exploring & building out new revenue streams. The focus is on identifying & testing new areas for revenue growth, with or without partnerships, as well as exploring how to expand emerging revenue streams including commerce & licensing. This person will be a self-motivated contributor who is equal parts ideation, strategy, modeling & revenue analyst, operations, as well as someone who can clearly articulate the brands value proposition & guidelines. Your role is mission critical to the success of our business long term by decreasing reliance on advertising revenue. Ability to lead the cycle end to end from market sizing, creating a business model, sourcing ideal partners if needed, contract negotiation, implementation & on-going partner management.